While churches are only too happy to open their doors to new parishioners, it’s a sad reality that many congregations are unwilling or unable to open their minds and hearts to the new demands, ideas and expectations of those who seek to join their flock. 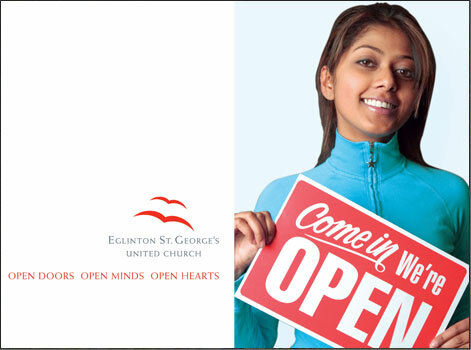 Eglinton St George’s United Church is a welcome exception and we sought to celebrate this fact with a campaign that was every bit as open as they are. The Church was open to this campaign idea not just because it didn’t look “churchy” but also because they could take the photos themselves.